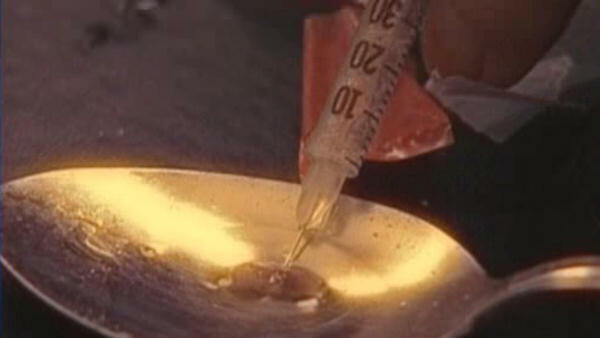 WHITE PLAINS, New York (WABC) -- A Peekskill, New York, man was sentenced to 15 1/2 years in prison Thursday for dealing a deadly batch of heroin that resulted in the overdose death of a 23-year-old man. Lakuan Rhyne, 24, was convicted of being a key figure in a Westchester County-based drug trafficking ring that prosecutors said dealt more than a kilogram of heroin in early 2014. Some of Rhyne's heroin was laced with fentanyl, a synthetic opioid that is significantly stronger than both ordinary heroin and morphine. On the night of January 26, 2014, Rhyne -- who goes by the nickname "Rico" - sold fentanyl-laced heroin to 23-year-old Thomas Coogan, who used the drug and died later that night. Prosecutors said Rhyne was aware of Coogan's death, but continued to sell heroin anyway. "Overdose deaths from opioid use have taken their toll in cities, small towns, and rural America," said Preet Bharara, the United States Attorney for the Southern District of New York. "The fentanyl-laced heroin sold by Lakuan Rhyne resulted in one of those tragic deaths, but Rhyne continued peddling this poison even after that. For his callous crime, he has received an appropriately heavy sentence." Rhyne pleaded guilty to heroin trafficking and distributing the heroin and fentanyl batch that killed Coogan at White Plains federal court on April 21. In addition to his sentence, a judge ordered Rhyne to pay $17,676.88 in restitution to Coogan's family.